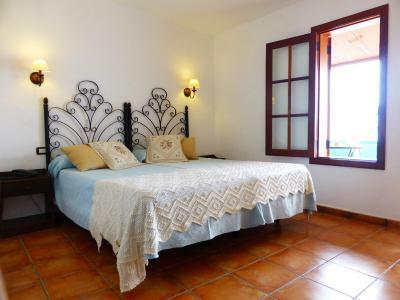 Lock in a great price for Hotel Rural El Navío - Adults Only – rated 9 by recent guests! The view from the terrace is really amazing! 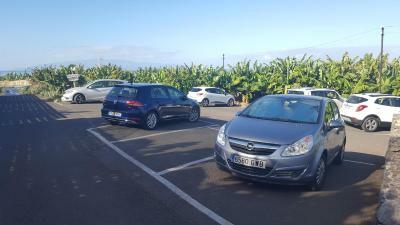 Banana plantation in front of you and the sea in the horizon... Wide and calm, we really loved it and didn't expect the view to be that good! We also enjoyed the breakfast which had some daily varieties. Small, but cozy and clean room. Really recommended! It was the staff and food that were the stars at this hotel. Amazing Amazing Amazing. Complete and utter idyllic setting. The staff was amazing, helpful and accommodating. The place was rural so very calm, quiet. Lots of stars. The location is very easy for accessing the entire island. Quiet rural location (in the middle of a banana plantation) coupled with very friendly staff made for a great stay, on the morning we left the host kindly made us up little “picnics” so we would not be hungry. 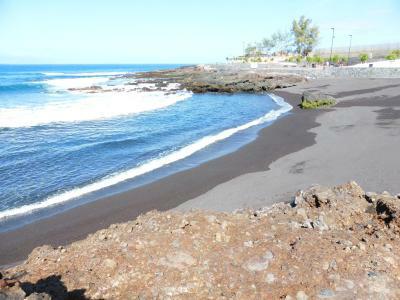 Quite location, good rooms with a big terrace with chairs and seaview. Breakfast was good: local food and changing every day, with grilled vegetables and freshly cooked eggs and bacon. 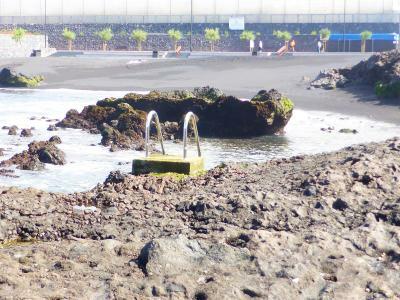 Perfect location to visit the Tenerife mountain. 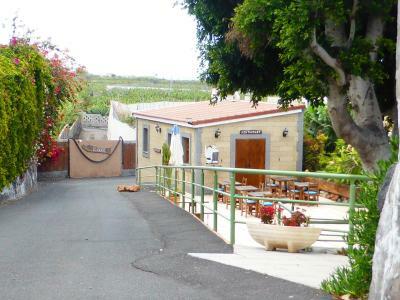 There is a really very nice restaurant in the village : Lúpulo. Beaches in the neighbourhood are clean and quite (this was March), and there is a snackbar on the beach, with salads and cool drinks. Loved being on a banana plantation and with such beautiful scenery around. 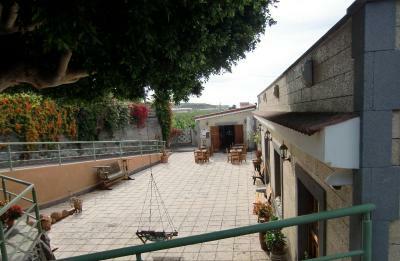 The terrace was great and with wonderful views towards Gomera. The staff were all very pleasant and helpful. The nearby town of Alcala was very pretty and welcoming. 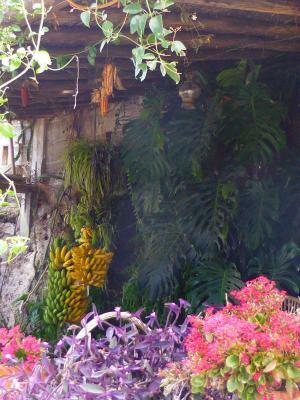 Small family hotel in the middle of banana plants. What else can anybody wish ? Staff friendly and helpful. Comfortable and clean accommodation. Lovely location. Very peaceful and relaxing. The food was excellent - what a lovely chef. So good to be offered homemade dishes and made from very local ingredients. Hotel Rural El Navío - Adults Only This rating is a reflection of how the property compares to the industry standard when it comes to price, facilities and services available. It's based on a self-evaluation by the property. Use this rating to help choose your stay! 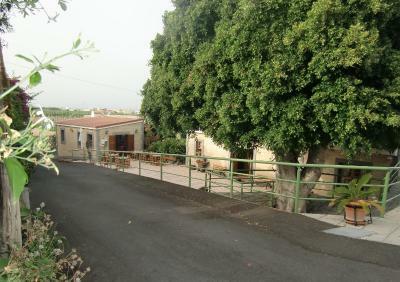 Hotel Rural El Navío - Adults Only is set on a banana plantation, less than 0.6 mi from Alcalá Beach. 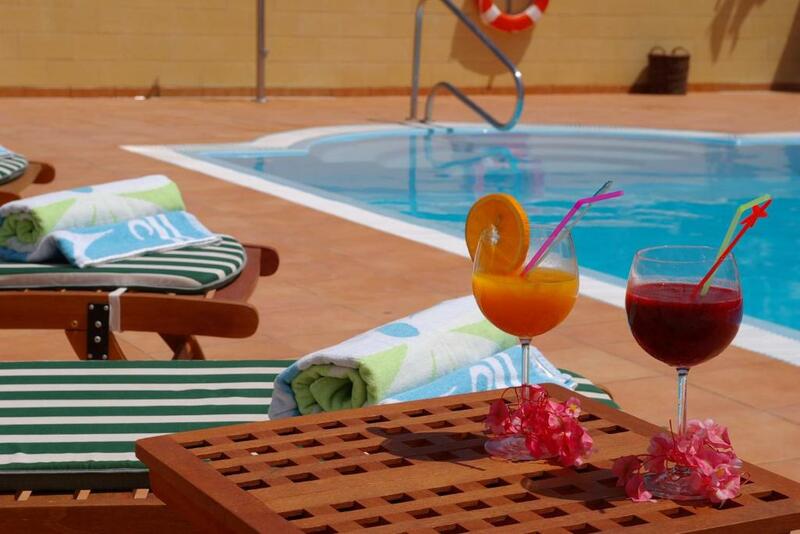 It features an outdoor swimming pool, free WiFi, and rooms with terraces and sea views. El Navío offers traditional, country-style décor with tiled floors. 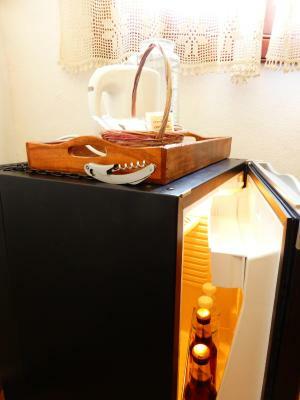 Rooms are spacious and have satellite TV and a mini-bar. 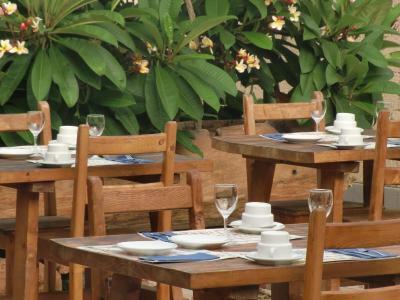 The hotel restaurant serves a daily buffet breakfast and a selection of home-made dishes for dinner. Guests can relax in the lounge, or on the terrace, which offers views of the Atlantic Ocean. There are also barbecue facilities. El Navío is just over 0.6 mi from the center of Alcalá, where there are a selection of shops, restaurants and bars. Local activities include hiking, canoeing and fishing. 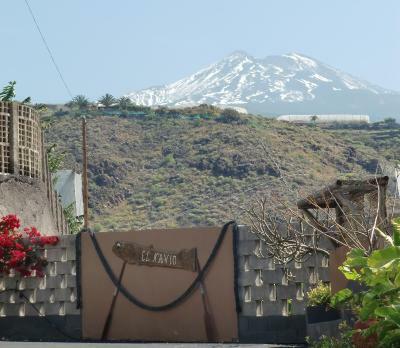 Mount Teide National Park can be reached in 30 minutes, by car. 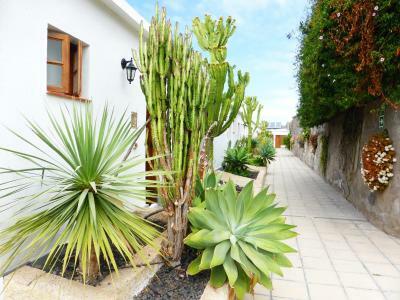 This property is also rated for the best value in Alcalá! Guests are getting more for their money when compared to other properties in this city. 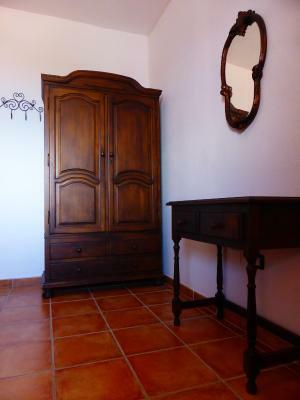 When would you like to stay at Hotel Rural El Navío - Adults Only? 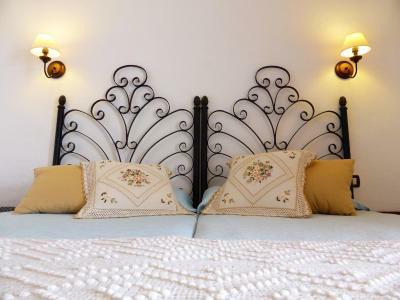 This room has traditional, country-style décor with tile floors. 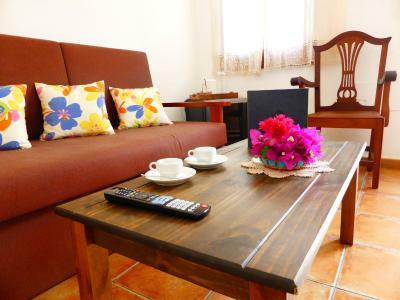 It has a spacious terrace with ocean views, satellite TV and a minibar. This suite features a sitting area with a sofa bed. There is also a terrace with ocean views. 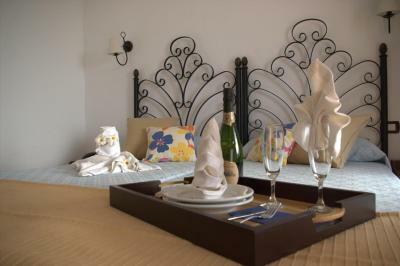 This twin room features a tile/marble floor, mini-bar and sea view. 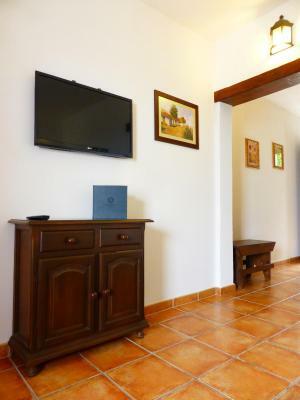 House Rules Hotel Rural El Navío - Adults Only takes special requests – add in the next step! Debit card Other Greatwall Dragon Hotel Rural El Navío - Adults Only accepts these cards and reserves the right to temporarily hold an amount prior to arrival. Hotel Rural El Navío - Adults Only accepts these cards and reserves the right to temporarily hold an amount prior to arrival. Guests are requested to inform the hotel in advance of the arrival time of their flight to Tenerife. This can be noted in the Special Requests Box during booking or by contacting the hotel using the contact details found in the booking confirmation. 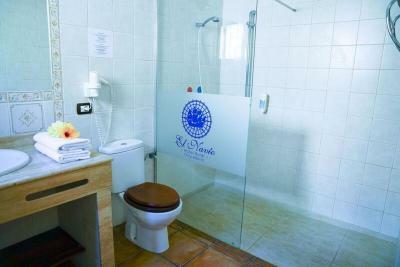 Please inform Hotel Rural El Navío - Adults Only of your expected arrival time in advance. You can use the Special Requests box when booking, or contact the property directly using the contact details in your confirmation. it is a bit far to walk to the beach, and especially in the evening when you want to come on foot from the village, there is no lights, and you have to walk on the busy road. It is about a kilometer walking in the dark and lonely area. It is ok if you are only staying a couple of days, perfect location for a short break. The breakfast was hit and miss - One day there would be lots that we liked to eat and another day there would be barely anything. The menu of the hotel restaurant never really appealed and restaurants in Alcala were a taxi ride away unless you wanted to walk the unlit rough path through the banana plantation there or the extremely busy main road with barely any pavement. The hot water took an age to run hot sometimes - when it did it was very hot it just took a long time to get there! The evening meal, although good value could have been skittle more substantial even if costing more. Maybe a kettle etc in the room so we could make tea and coffee. Eggs do not need cooking THAT much! Softly scrambled or boiled for just 6 or 7 minutes would be great! The great balcony for a lovely sunset over La Gomera! 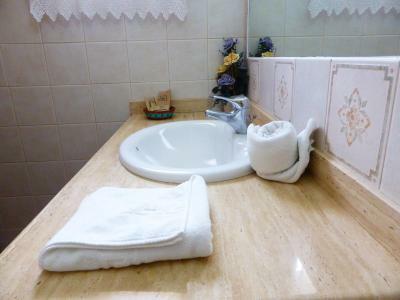 It was extremely basic very tatty in areas the whole room especially the bathroom needed a refurb. We visited in December so at times especially the evening the room was very cold indeed with no way of heating the room The sun loungers were falling to pieces. Breakfast was over cooked and cold. Plug sockets unusable behind bed, dinner menu was 90% seafood which we do not eat, poor dinner choices, we went out every evening for dinner, also the only option was for a three course meal, we only ever eat one course. Coffee machine in the mornings was very poor, and hot water facilities for tea was also very poor. Bar area was stuffy with sofas and armchairs, it had no atmosphere. 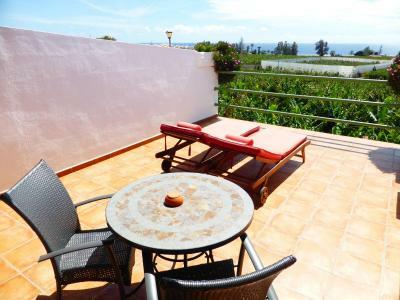 Private patio area for each room sea views, quiet, breakfast terrace was very nice, room was good, short bus or taxi journeys to nearest towns for bars and restaurants. Not always easy to find someone to talk to. 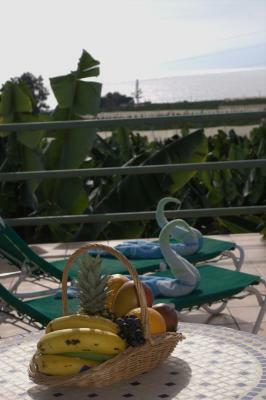 The location amongst the banana palms with views to the sea makes this a special place. The people we met from El Navio were all very friendly and relaxed in dealing with any questions and queries. Suggested route from airport not easy to follow - better to leave TF1 at junction 87 & then follow signs for Alcala. Be wary of the walk through the banana plantation down to the sea - it was the only place I got insect bites, although this may have been down to the time of year (November). No evening meal on Saturdays but not mentioned on Booking.com or hotel website. 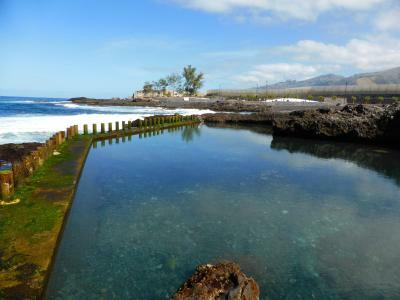 Quiet location but with easy access to beaches & other attractions. Excellent breakfasts. Good value (though restricted choice & sometimes quirky) evening meals (€18 for 3 courses inc. beer/water/wine & coffee). As many bananas as you can eat! Location is really rural, so it's better to have a car if you decide to stay there. 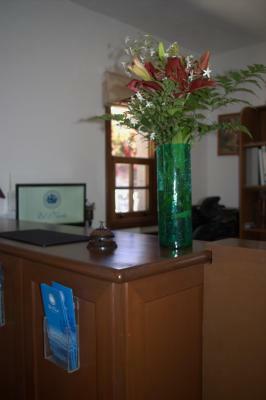 I spent two great weeks in September at the Hotel Rural El Navio. Awesome apartments (incl. 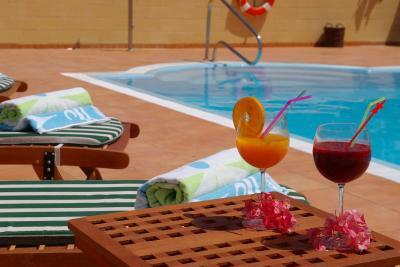 Wi-Fi) with a spacious terrace, delicious breakfast buffet and a nice swimming pool. 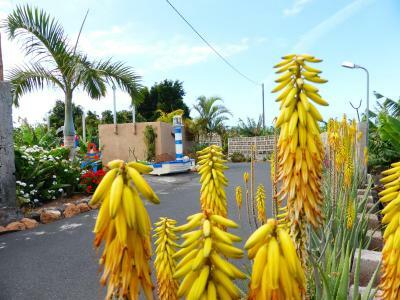 Very friendly and open-minded staff, who help you to improve your Spanish :) The hotel is located a little bit outside of Alcala between some banana plantations. The right place to relax and to enjoy the sun - the weather can be quite different around the island, but here I always had great weather. I very appreciated my stay here and can highly recommend this hotel.